Why Send Travel Greeting Cards? Whether you know someone who is off on a Round The World Trip, setting out on a Gap Year before University or embarking on long-term travel with their family you can find the perfect travel greeting cards from Flamingo Paperie (was Phoenix Trading). 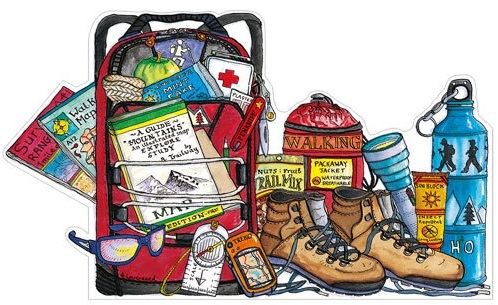 Going on a cruise or off on a camping adventure? Maybe you know someone heading off on a cruise? 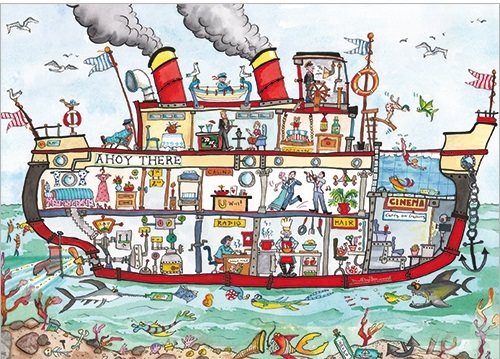 Wish them well on their trip of a lifetime with this delightful and wonderfully illustrated Cut Thru’ Cruise Ship greeting card design. Design is by Flamingo Paperie regularly contributing artist Amanda Loverseed. Maybe you know a traveller who isn’t going too far but loves walking. Or maybe they are taking on a famous trek up to Everest base camp, the Milford Track in New Zealand or the Appalachian Trail in America. Either way what better send off and opportunity to pen them an inspirational thought or two than this walking design of travel greeting cards. If walking isn’t their thing, there is a cycling, swimming, tennis and rugby variation of this bag – check them out via my store site – the Sport or Hobbies and Interests section would be a good place to look or use the search box with a keyword. There are many reasons that individuals set off on a travel adventure. They may have bought a boat and be heading of on a circumnavigation of the globe. Maybe they are taking a year out to travel before the children go to high school. Do you know someone who is retiring from work and has bought a caravan and intends to travel around their country just taking it easy and exploring? 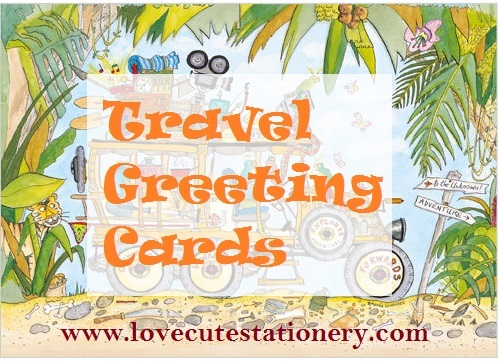 Whatever the reason for travel, I hope that you will be able to discover the perfect travel greeting cards to send them on their way in this post. The greeting card design featured below is fun and full of fabulous details – make sure you click image to enlarge and text link to purchase. What a great Cut Thru’ Adventure Auto (code:A195 to order) for a trip to the jungle and more remote areas of the world. Just imagine the adventures you could have! *Note that some designs featured in this post may no longer be available to purchase online BUT there will be something similar so apologies in advance. Explorers, adventurers or just those in search of the next mountain to climb or forest to explore? Wish them well on their adventures with a Spirit of Adventure greeting card. 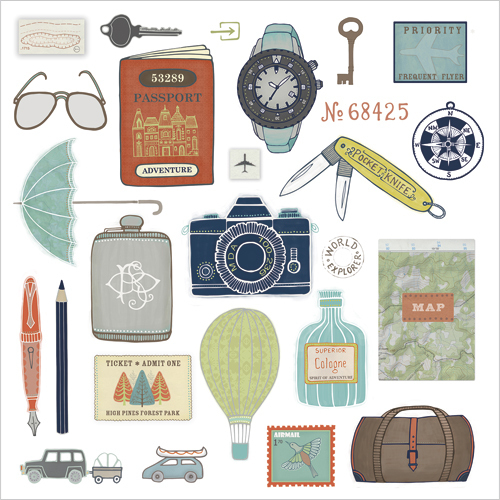 Greeting card design features a map, passport, compass, camera and more travel related paraphernalia. Great card for those teenagers off exploring the world on a gap year of adventure and explorations as they find themselves. The VW campervan is iconic. 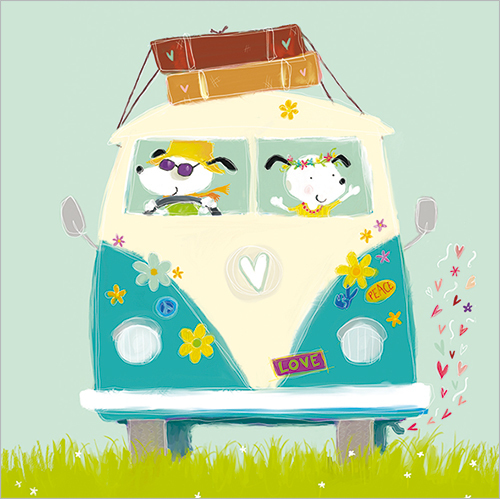 Whether you have a converted transit van, an American RV or a vintage VW campervan you will love this greeting card design from Flamingo Paperie. 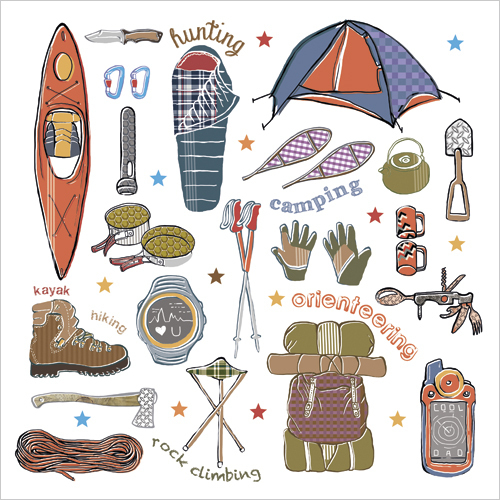 This greeting card designs covers camping, hiking, kayaking, orienteering and more! Perfect for sending to someone embarking on or who has passed an outdoor qualification or course. My aunt and uncle live on the Isle of Arran running their Nature Walks business. I really must send them a copy of this card it’s perfect for them. They love climbing, hiking, camping and kayaking! Card featured below is The Outdoors (code:S257) – click image to enlarge and view details. 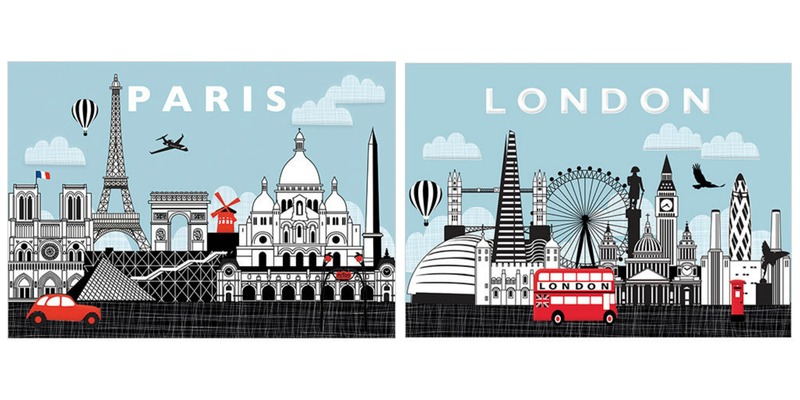 Continuing with the theme of travel greeting cards, Paris and London are two popular city destinations for travellers. Each greeting card design pictured below features key buildings or attractions that a visitor to these cities may encounter. So which will you choose the Paris greeting card or the London greeting card or both? 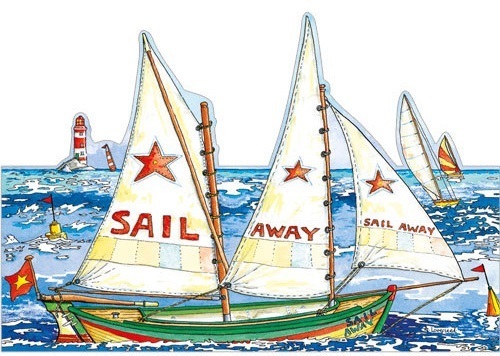 Sail Away (DC76) is the perfect card to send to anyone you know who is planning a sailing adventure. Whether they sail for fun on the weekends or a planning a solo circumnavigation of the world this design is perfect. All Flamingo Paperie greeting cards (was Phoenix Trading) are blank on the inside so easy to personalise for any occasion. Priced at just £2.00 each or £1.60 when you choose 10 or more cards they are great value. With over 400 designs to choose from, selecting 10 to qualify for the bulk buy discount is easy. Keep adding cards to your shopping basket and you will easily qualify for free shipping with an order of £30 minimum! Use the codes for easy ordering online – just type in to search box, alternatively you can search by keyword e.g. cat, dragon or boat. There are a number of designs available in the current range that make great travel greeting cards. With new design releases 4 to 5 times a year there is always the chance of new designs being appropriate for the travel and transport market too. In the past we have had travel greeting cards with the words Bon Voyage on them. At the time of writing this post there were no designs that specific. However, a feature of the designs has been hot air balloons. 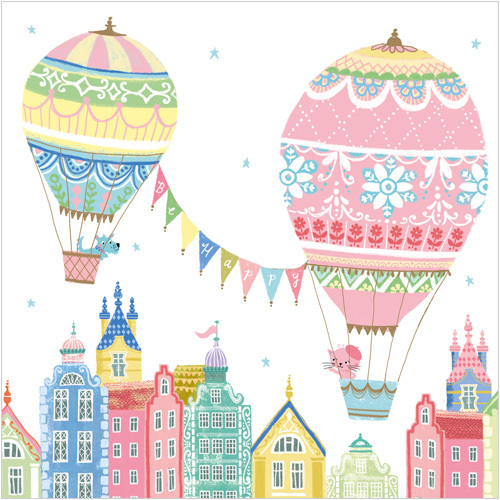 So, for Bon Voyage I am sharing House and Balloons (order code WS391). 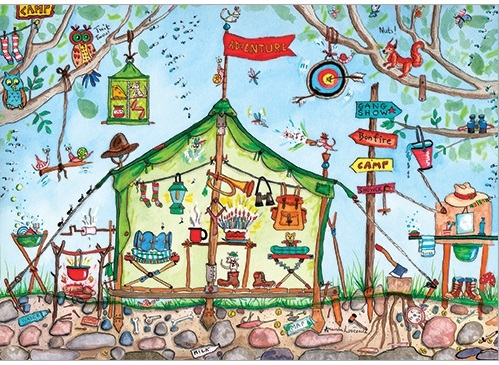 What’s special about this travel greeting card design is the letters on the bunting spell out, ‘BE HAPPY’. 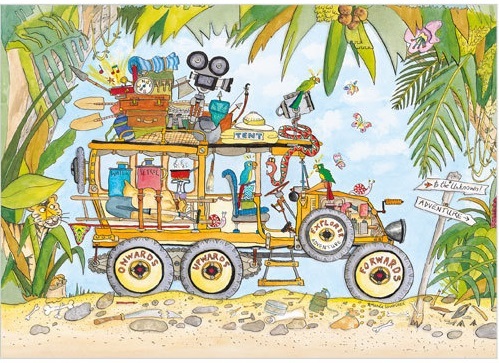 Be Happy is a sentiment shared by many wishing their friends and family off on overseas adventures. My parents have put their house on their market and like many others their age are looking to downsize. They have a caravan and a truck to pull it. Not a VW beetle as pictured, although they have owned both a VW convertible and VW campervan in their past. My Dad loved to surf and they still ride their bikes regularly. My parents are in their early 60’s and likely fitter than I’ll ever be LOL! I do hope that they take off on a little adventure in their caravan and explore New Zealand a bit before buying a new property. My hope for them is that they get to enjoy a long and happy retirement. 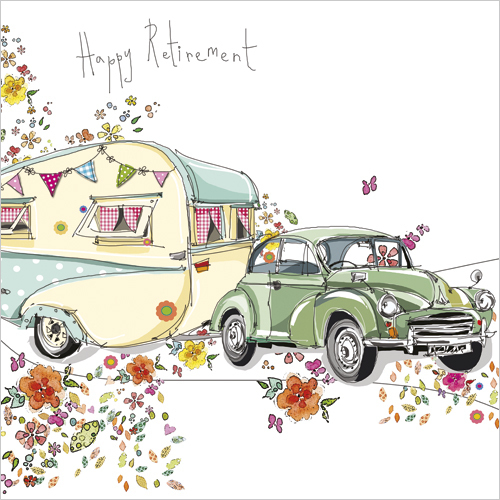 When they do decide to retire and travel I will be posting them one of my travel greeting cards and this design is top of the list. All photographers or travellers, especially those with travel blogs like me would love to receive this camera greeting card! Perfect greeting card for photographers, whether they are travelling or not. Say, ‘Cheese’ or if you’re like my children who love to say, ‘sausages’. Hint: click image to enlarge for details. 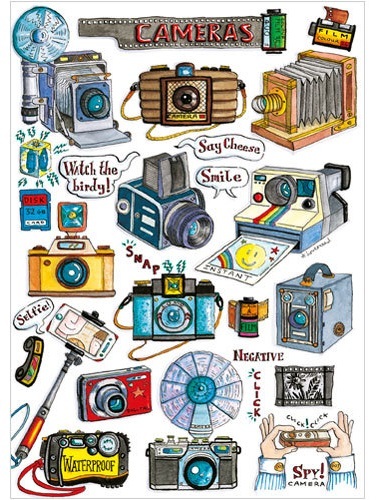 Choose A246 Cameras when ordering your greeting cards from me. Remember buy 10 cards and save 20%! Enjoyed my post featuring travel greeting cards and keen to buy any of the designs featured then please visit my UK website for delivery to a UK address. If you are based outside of the UK but keen to order then there are options in New Zealand, Australia, France and Internationally. You can purchase Flamingo Paperie travel greeting cards at a wholesale level via different options. See my page about International Business Customers or ask me more for information.